Here's an old book cover, back from the days when I actually painted all this stuff by hand. 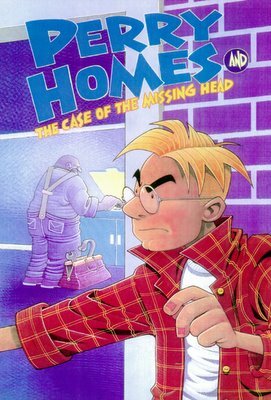 Perry Homes is a Boy Detective and the missing head is a head teacher who goes missing. Sorry.